Families and foodies everywhere look forward to Thanksgiving all year long. However, while we all have our favorite dishes, it’s always fun to try something new, too. Here are a few must-have Thanksgiving side dishes that you can try adding to your family’s menu. This traditional dish can take you all the way back to the Pilgrims. It is creamy, buttery, and delicious, which is how it has survived for hundreds of years. You can even add a splash of maple syrup to give it a slightly sweeter taste. Skip the canned cranberries this year and make your own. It is so easy and delicious that you will never want to eat it from a can again. All you need is fresh cranberries, sugar, and water. Combine everything in a casserole dish and bake. Give this Thanksgiving favorite an update with fresh ingredients and homemade mushroom sauce. Add a bit of blue cheese for an extra boost of flavor. This dish comes together easily and will have everyone coming back for more. When topped with the sweet pecan crumble, it tastes almost like a dessert, so be sure to make plenty for the whole family. 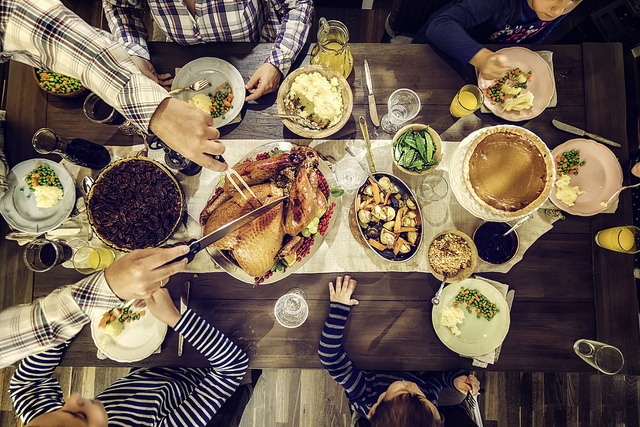 If you find that you need (or would like) a new vehicle to go to the family Thanksgiving dinner, make sure to stop by Don Robinson Mitsubishi. We would be more than happy to help you find the perfect vehicle for you.